Hi Guys, it has been a while since I have been on or posted. Life gets in the way sometimes. I did these for one of my friends. He wanted these for his office and employees. 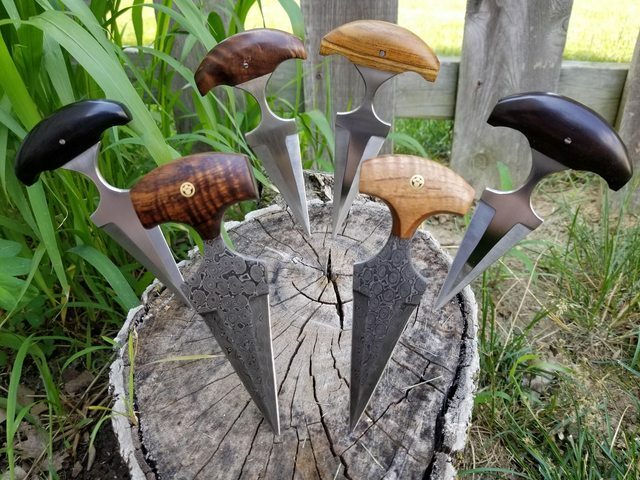 I know I still have a long way to go in knifemaking but pretty pleased with these and stands. Front row: Curly Koa and Stabilized Satinwood on raindrop Damascus. All comments and mentoring is Very Welcomed. Nicely done, Cool! One of those that are on the bucket list to make. You have every right to be proud of those push daggers. 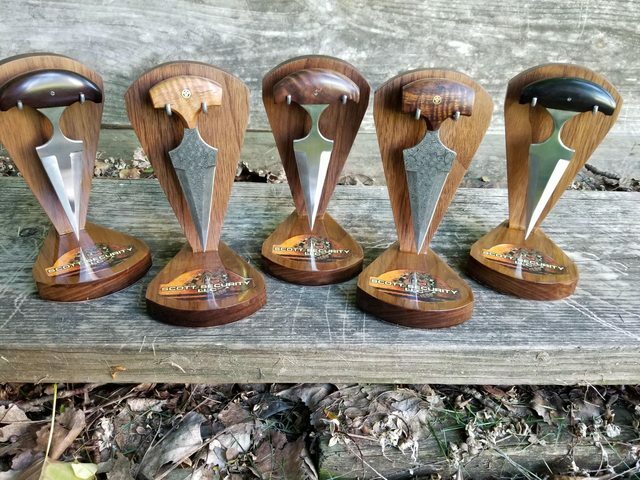 Excellent work and the stands complement the beautiful knives. Thanks guys !!! That was fun to build. I will probably make more now that I have the concept. I also helped in the heat treatment of the steels. ATalley is a good teacher. Thank you for all the kind comments !! Great work and very well displayed!